SuiteCommerce's Commerce as a Service (CaaS) is the first solution of its kind built upon the principle that eCommerce is a core capability for retail operations and B2Bs, not merely a standalone channel. SuiteCommerce unifies your eCommerce software with core operational business systems, helping meet rising customer expectations for a consistent experience across all touchpoints, e.g. smartphones, tablets, callcentres, point-of-sale. SuiteCommerce enables businesses to move from standalone transactional channels to an integrated commerce solution that puts the customer at the centre of the retail experience. SuiteCommerce captures preferences and transactions into rich customer profiles to support personalized marketing, merchandising and promotions across all channels. SuiteCommerce extends these customer-centric eCommerce capabilities to B2B interactions, enabling companies to provide a consumer-class experience to business customers and suppliers. 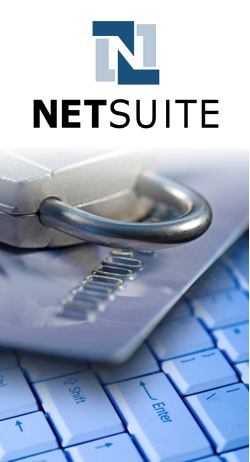 Seamless integration with NetSuite's core business management suite streamlines B2B invoicing, support and payments with an efficiency that simply can't be matched by outmoded on-premise systems. Delight customers and expand your business with engaging and personalized online shopping experiences optimized across all channels. Penetrate new global markets and engage new audiences with in-store and eCommerce solutions. Get unprecedented visibility into your customers' tastes and habits by capturing preferences, transactions and interactions across all channels and touchpoints. Build these into rich profiles, driving personalized service, marketing, merchandising and promotions. Align your business processes and make better-informed decisions on planning, pricing, merchandising and order/inventory management by unifying eCommerce and POS with your core operational business systems. The result will be a unified commerce platform, improved business agility and visibility and the merging of siloed data sources into a single repository.